Remember the story of Jean-Baptiste Grenouille, born with a superior olfactory sense, whose work creating the world’s finest perfume takes a dark turn as he searches for the ultimate scent? Well you may keep that story in mind, (only as a metaphor, though!) 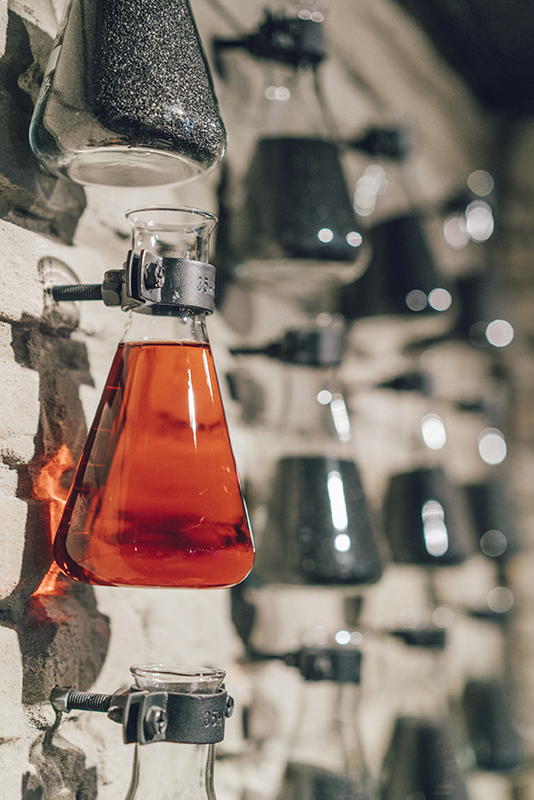 when thinking about this niche perfumery in the heart of Copenhagen – Crime Passionnel – where the mix of mysterious, alluring fragrances to kill for greets you from outside of the shop and instantly makes you want to come inside. 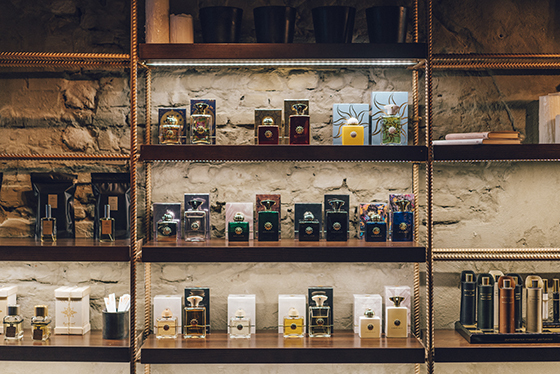 What you will find here is a narrow range of sophisticated, exclusive niche perfumes and a limited assortment of cutting-edge names from beauty capitals all around the world: brands such as Amouage, Jovoy, Nasomatto, LM Parfums and the list goes on. 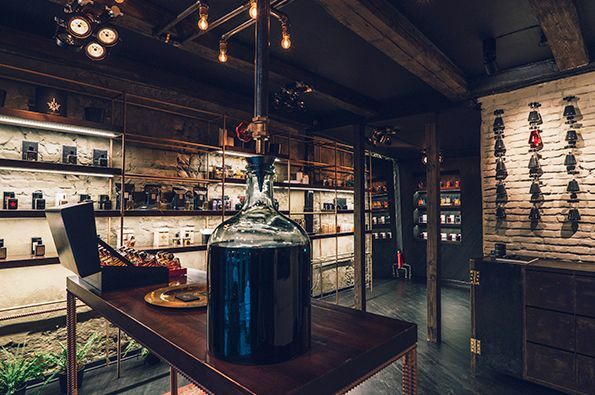 These oils and potions are beautifully displayed along the brick walls, on shelvings made of industrial iron bars, offering the impression you are inside a perfumery lab, rather than just a shop. Everything here is made to connect together the five traditional senses in humans, combining them into one sensual affair, overwhelming experience. 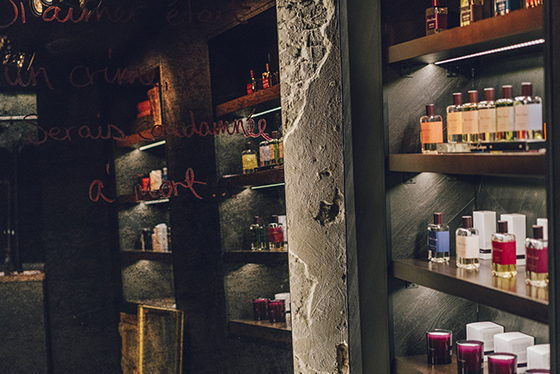 Your company and guide on this beautiful journey is Aivaras Stanevicius, one of the two co-owners of the shop, who will kindly speak for hours about each and every fragrance, initiating you in the unique world of flavours. Nothing that happens at Crime Pasionnel is random, and your purpose there is well served: no doubt you will make the right choice, after walking through careful steps which will allow you to find the fragrance which suits you best. What this hidden gem in Copenhagen does is tell a story, create an atmosphere, rekindle emotions. And it is tuly enough to enter once and breathe in the mixture of scents – you will definitely want to come back for more. Normann Copenhagen opened on September 24th their very first store outside of Copenhagen, in stilwerk, Hamburg’s high-end shopping center for design and furniture. The store is located in the rustic sub-level, in a 200 m2 space characterized by raw brick walls, arched ceilings and large steel pillars. Visitors can expect to see a wide selection of the Normann Copenhagen collection. The main focus it to introduce the citizens of Hamburg to Normann’s furniture range through minimalistically styled home-like environments which will range from living room and dining room to kitchen and hallway. The store will also include the entire collection of home accessories and lighting. Normann Copenhagen at stilwerk will be opened until the end of February 2015, so there will be plenty of opportunity to explore their collection.